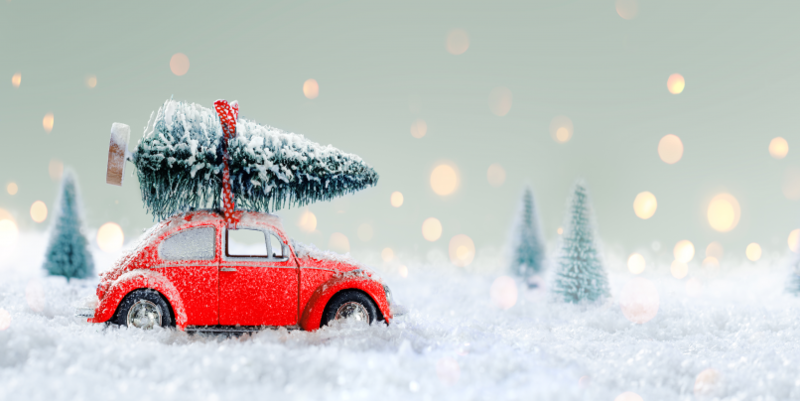 Have you been dreaming of a new car as well as a white Christmas? You're in luck! Here are a few reasons why industry insiders say December is the best time of year to buy a new car. Dealership and Salesperson Quotas Many dealerships and individual salespeople have quotas they need to reach for the month or year. Some dealerships may also be competing to be the top seller of a specific model vehicle for the year. Fewer People on the Lot Winter weather often deters people from stopping by a dealership and wander around the lot. Salespeople may be more willing to make a deal since they might not have many other potential buyers coming in. Making Room for New Models Many dealers offer deals on the previous year's model to make room for new stock, especially if the new model has any significant upgrades or redesigns. In fact, the later you can wait in December to make your purchase the better. Right now, we're offering rates as low as 4.00% APR for 5 years on new vehicle loans. Apply online now for pre-approved financing, and we'll see you at the dealership on New Year's Eve! Disclaimer: Subject to credit approval. Advertised rates are subject to change without notice and may vary based on applicant creditworthiness and loan term. Minimum loan amount $12,000 for 72 and 84-month terms. Other restrictions may apply. Payment Example: At 4.00% APR, 60 monthly payments of $18.42 for each $1,000 borrowed.